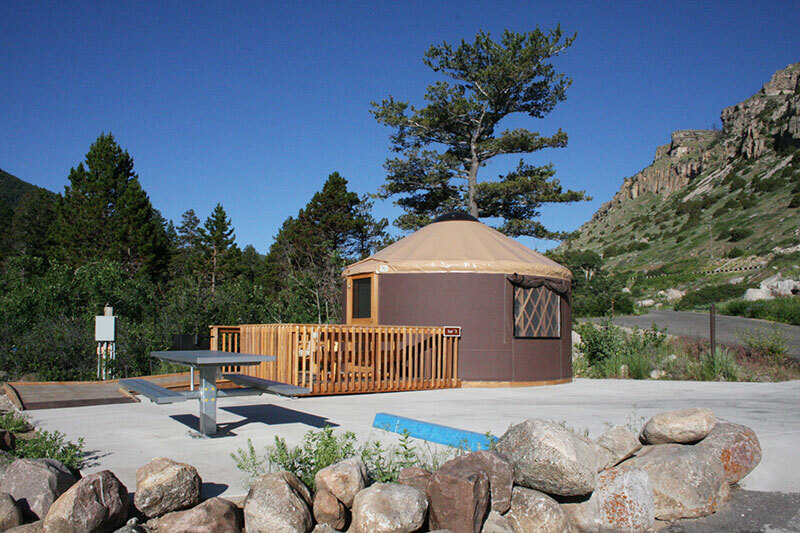 Sinks Canyon State Park has 4 camping yurts available. 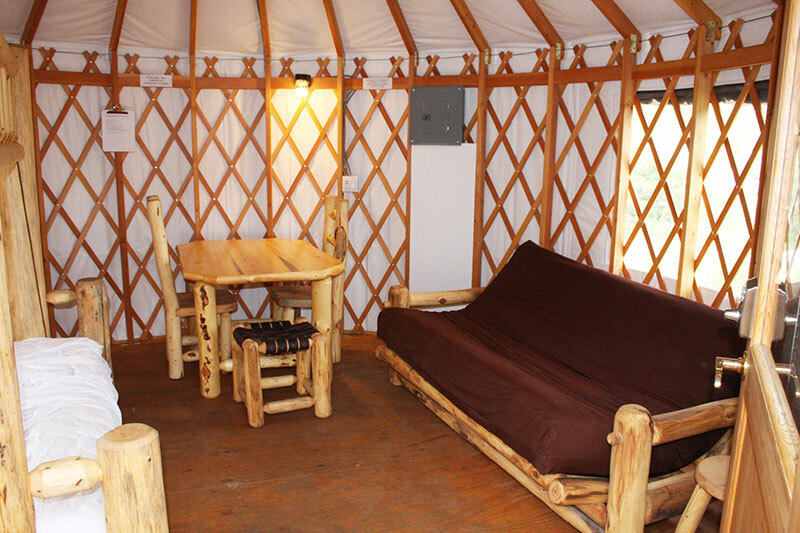 The yurts can be reserved year round. 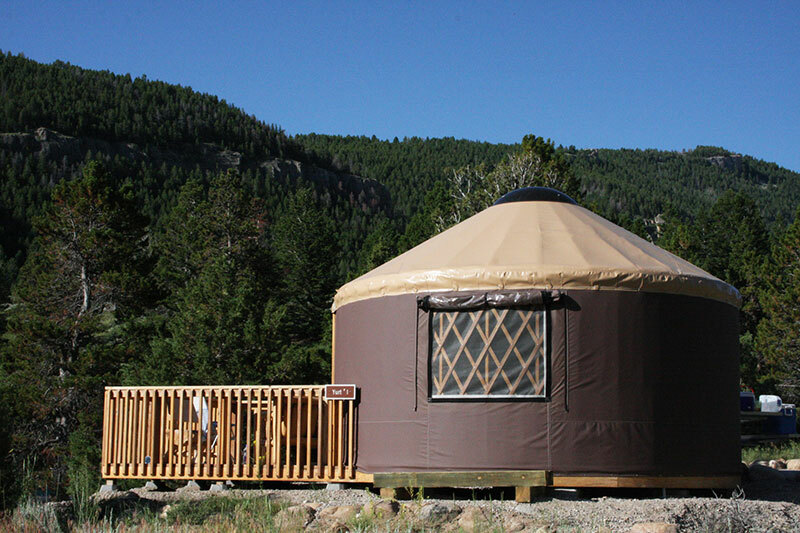 Contact Wyoming State parks at: www.wyo-park.com to reserve the yurts. Off season: Oct 1 -April 30 - Yurt 1-3 are $40.00 per night and Y4 is $100.00. Off season camping fees $6.00 Residents $11.00 for Non Residents. 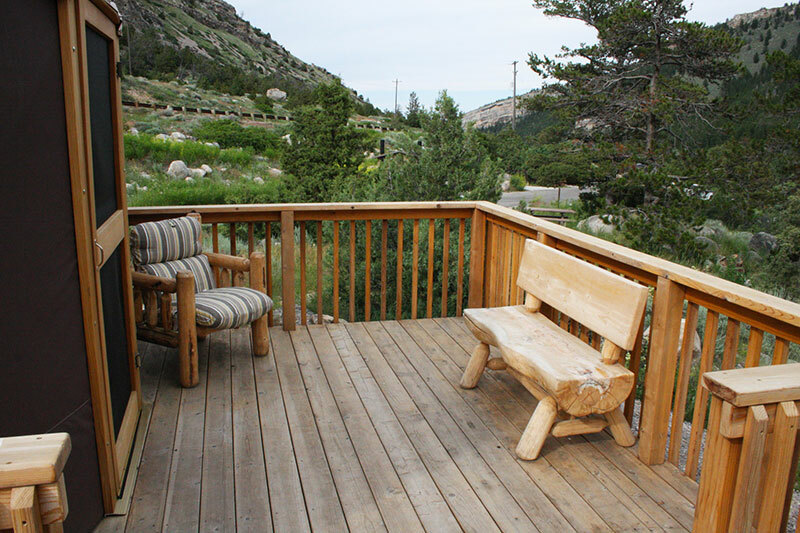 Peak Season: May 1- Sept.30 - Y1-Y3 are $60.00 per night and Y4 is $140.00 per night. 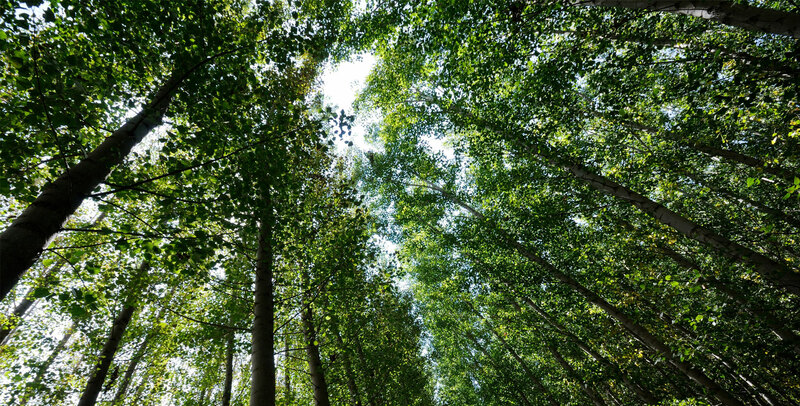 Camping fees for Residents are $9.00 per night and non-Residents are $16.00 per night. The booking website is www.wyo-park.com and phone # is 1 (877)- 996-7275 you can book your reservation 120 days in advance. 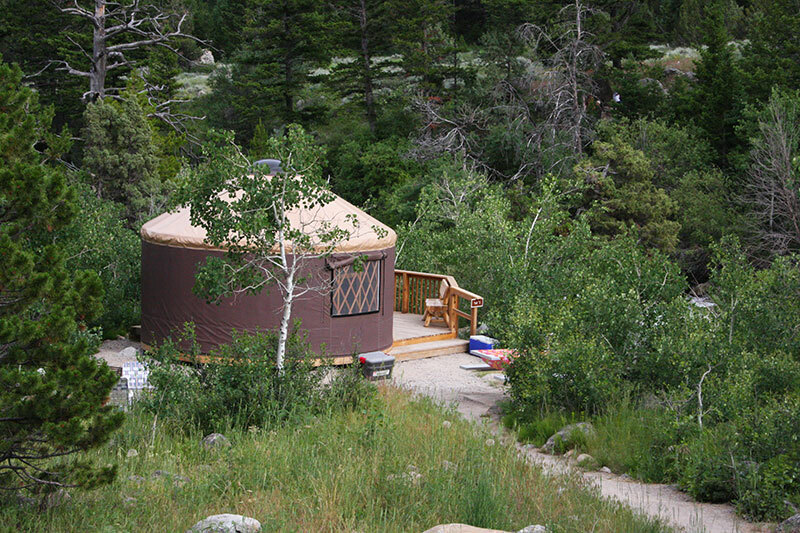 Yurt 4 is larger for larger groups. Outside the yurts are 2 parking spots, a picnic table. 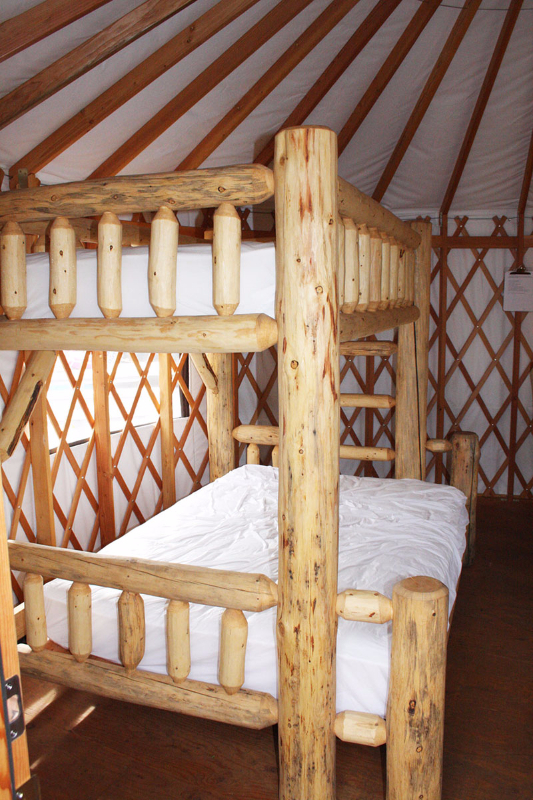 There is an ADA yurt with accessibility ramp and accessible toilets nearby. Please request the ADA yurt specifically when making a reservation.